READING - A Reading man was involved in a critical scene in the new Matthew McConaughey film “Ghosts of Girlfriends Past” opening Friday, but you’ll never see him on screen. 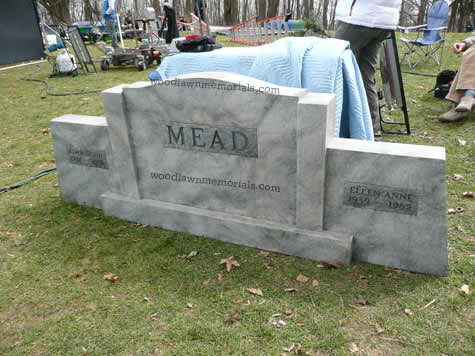 In a climactic scene, McConaughey’s Mead is transported to the grave site, where, according to DeFilippo, his headstone reads that he dies in 2041. 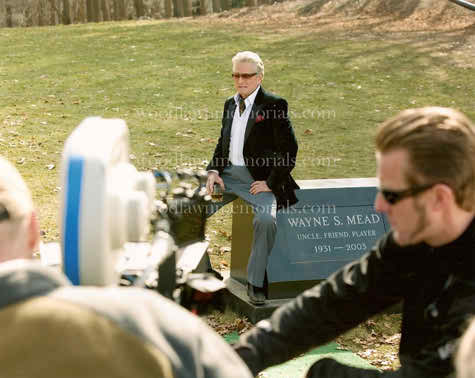 DeFilippo also designed a headstone for Michael Douglas’ character in the film- Mead’s uncle, Wayne, and three others. He was asked not to take pictures of the headstones for the two major characters, he said, as a precaution against internet leaks. 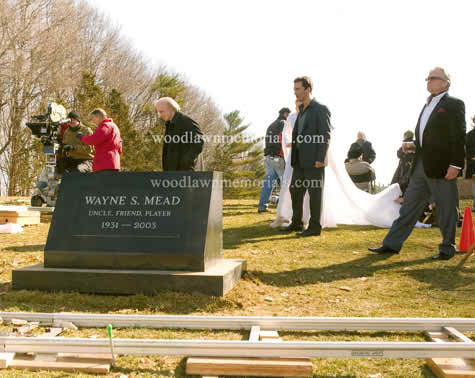 However, DeFilippo said that the studio has framed pictures of the Connor and Wayne Mead headstones and will present them to him after the movie is released. 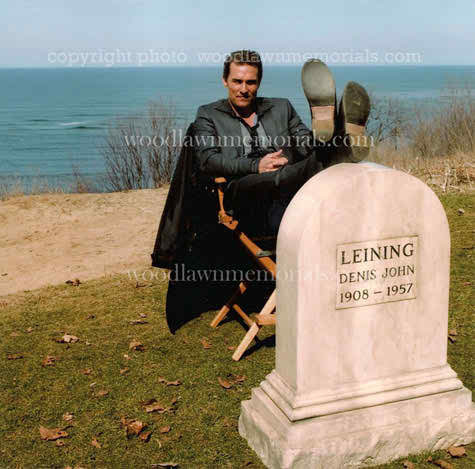 Matt McConaughey takes a break between filming. Much of the filming was done in Ipswich, Ma. Matt McConaughey and Michael Douglas. “Ghost” is standing behind Matt dressed in white. Request a Quote or Have a Question?